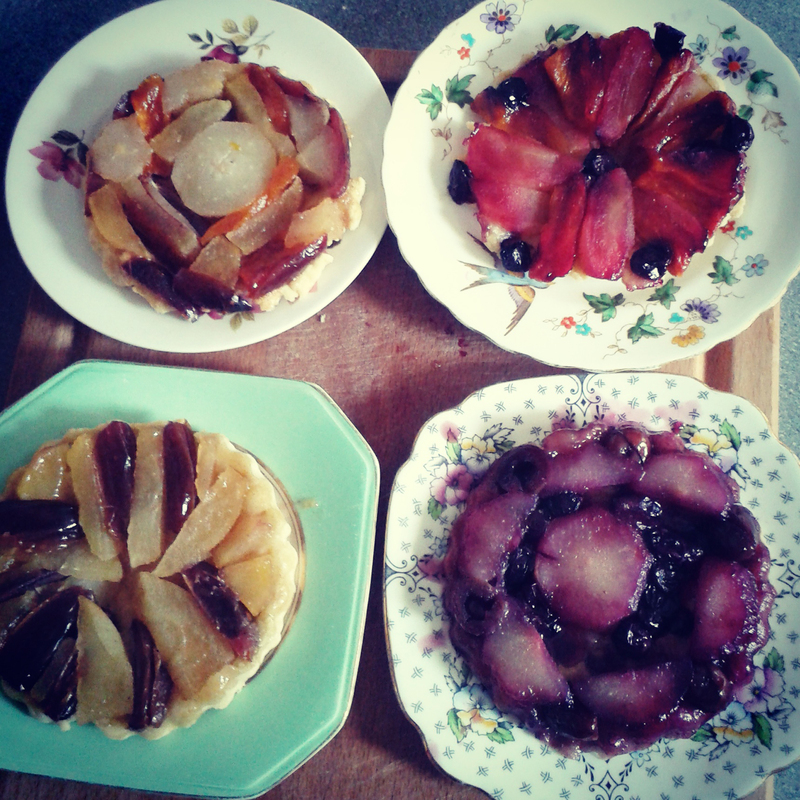 There was a wonderful smell coming from my kitchen this weekend when i indulged in a tarte tatin baking frenzy. 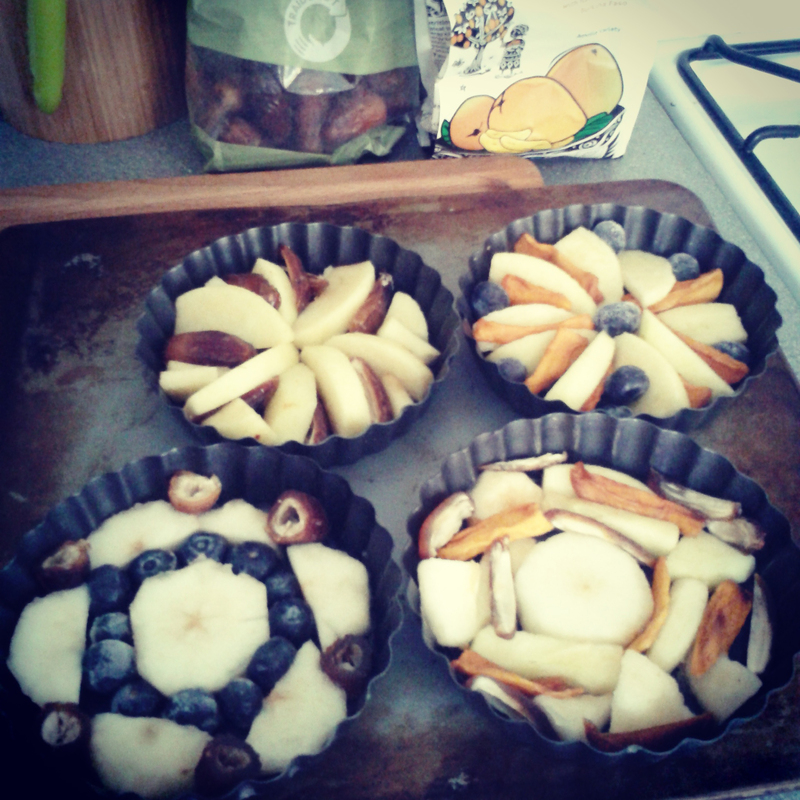 i used a combination of apples, pears, blueberries, dried mango and dried dates to create my mini tartes. These were delicious served up with homemade ice cream. My toddler kept asking for more!